Right on Lake Seminole!! Great opportunity to be living in a wonderful neighborhood and have an amazing view as well as your own private dock! Oversized property provides plenty of rear yard behind the spacious screened in pool and lanai. There is a under roof area for entertaining in any weather. The home has a great floorplan, split bedrooms for privacy, the family room with a fireplace is adjacent the kitchen. The master bedroom has a terrific view of the pool and the lake. Gas is available and currently used for the water heater and dryer. Hurricane protection with roll down shutters keeps you secure and provides peace of mind. 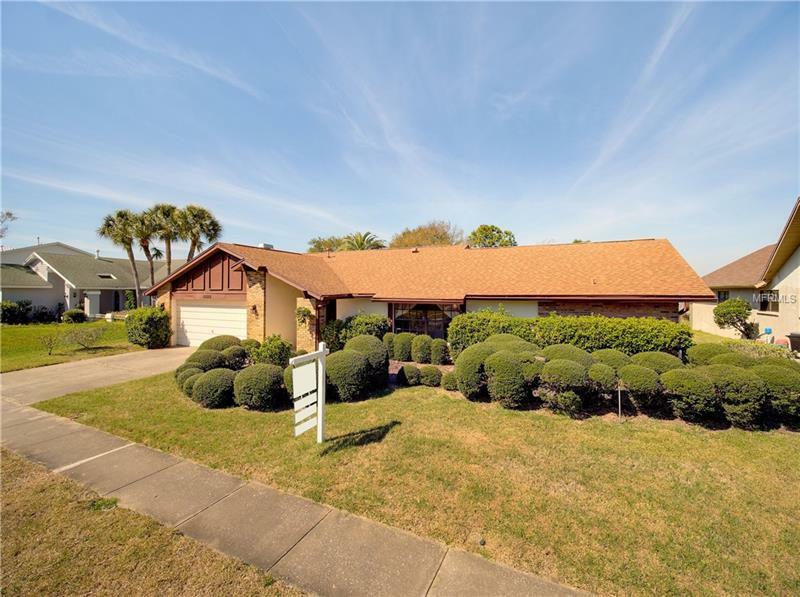 This home is located in Lakeside Estates, a beautifully maintained and deed restricted neighborhood. Rare opportunity to keep your boat right out your back door. Lake Seminole is a lovely fresh water lake that is home to beautiful birds and awesome fishing!